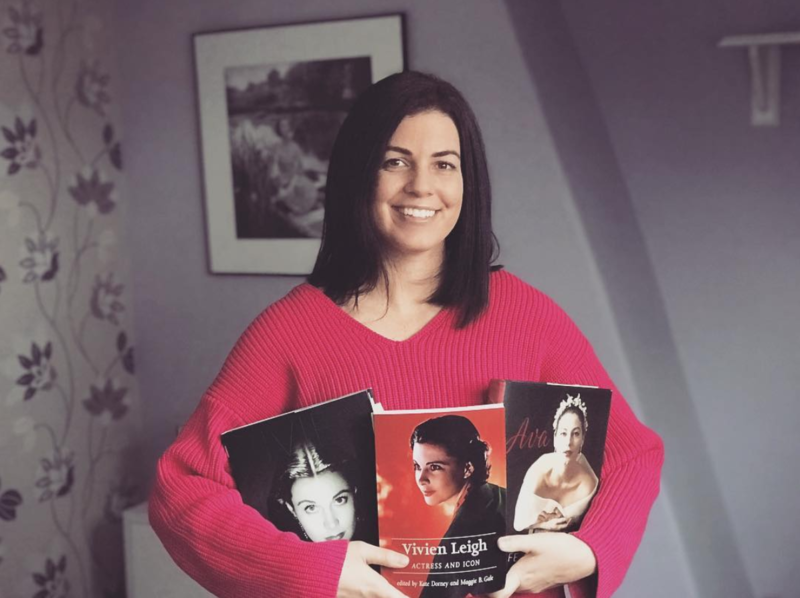 Win a copy of LIFE magazine featuring Vivien Leigh! “No one who has seen her in Gone with the Wind will be surprised that Vivien Leigh became in my eyes one of the most beautiful women in the world. I was delighted when Life asked me to photograph her for a cover. I knew that she suffered from t.b., but I was shocked by her pale and fragile appearance when she entered my studio. Vivien asked me whether she should put on some rouge, but I saw a strange attractiveness in her transparent paleness and photographed her as she was.. Her features were exquisite, she was full of gentile charm and friendliness and at the end of the sitting I had the feeling that I was photographing something very unusual: an angel-like star. The shock came when I developed my photographs. What I saw was not the image of a fragile, delicate angel but that of a tired and sick young woman. I phoned Vivien and told her it had been a terrible mistake on my part to photograph her without makeup and I hoped she would pose for me again. The angel-like voice answered that she understood and that she would come to pose tomorrow. We used make-up in the second sitting. Vivien posed with more spirit than in the first sitting, and when her pictures were developed and printed I was delighted with the result. The telephone rang. It was Vivien, who was worried about her pictures and wanted to see them. Whenever I photograph for a magazine my rule is never to show a picture to the sitter before publication. But how could I say no to an angel, who without complaining left her sick bed to pose for me a second time? A knock at the door interrupted her. The hotel waiter appeared with Miss Leigh’s tea and cookies. Where should I put the tray, Miss Leigh?” he asked. With a sweet and melodious voice, Vivien answered, “could you, please, put it on the night table.” The waiter obeyed, looked admiringly at the prostrate angel, deposited the tray and left. When the door closed, Vivien took my beautiful prints and tore them into little pieces. I thought of the hours I had spent in the dark room, mumbled a good-bye and left, feeling completely crushed. On that same evening, Vivien Leigh’s public relations man called me up. ‘I know that Vivien has torn up your pictures, but she did not tear up the contacts which you left in the envelope. Olivier has seen them and he is crazy about them. By all means, make new prints and submit them to Life.” I followed his advice, and one photograph, showing Vivien with an alluring Mona Lisa-like smile, became a very successful cover. 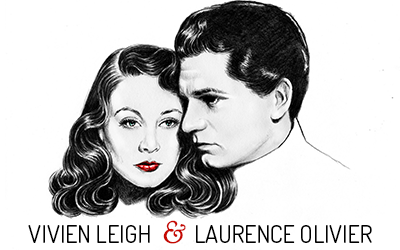 Leave a comment on this post with the answer to the following question: Which photographer do you think took the best photos of Vivien Leigh? As usual, post a link to www.vivandlarry.com on facebook, twitter, tumblr, etc and earn an extra entry. Be sure to let me know where you’ve posted it! The winner will be chosen at random using the random number generator and notified by email. The contest ends May 31, 2011. Good luck! Ah the contest ends when we will be in London for the Larry/Viv weekend!! I am going to be a massive cliche and say that Cecil Beaton took the best photos of Vivien, I adore his society portraits and he portrayed Vivien like a royal. The Queen of the British stage and screen. I love this anecdote, I’d never heard it before. Hearing stories like this makes the single photograph all the more poignant. Without hesitation, Cecil Beaton. His photographs of Viv were outstanding. I’m going to say what everyone else said, Cecil Beaton. And that cover photo is stunning! Lazlo Willinger … the series of portraits he took of Vivien for “WATERLOO BRIDGE” are some of the most stunning images ever captured of her (or of anybody, for that matter). Of course, it didn’t hurt that Vivien was at the absolute peak of her beauty during that period, and probably enjoying one of the happiest periods of her life … all of which comes through in those photos. And she looks like an angel for real in that ballet costume! I really enjoyed this post, Kendra. Phillipe Halsman tells a fascinating story. Thankfully Larry disagreed with Vivien and the photos were saved! But I do think I understand what disturbed Vivien about the photos — she doesn’t look well in them. Gorgeous, yes, but a bit tired and ill. Still, I do love this cover … she does indeed have a “Mona Lisa” smile here! Hope you’re making good progress on your term papers and that you’re doing well. I thought of you a lot last Friday during all the Royal Wedding hoopla, and how exciting it must have been for you to be in London at such a time. Definitely Angus McBean. I adore his photos. The photos that stick out to me most are always Cecil Beaton’s, although every picture of her is beautiful. I reckon there’s never been a bad picture of Viv, but I’d have to go with Angus McBean. Definitely have to go with Angus McBean. Ugh, so difficult to choose, though! I’ll have to go with the majority and say that Cecil Beaton trumps all the others. Honestly the photos taken by Cecil Beaton are stunning and seem to capture Vivien’s true spirit and beauty. If I was to choose the photographer who took the best photos of Viv, I would have to say Cecil Beaton. From what I’ve seen, he did the best job at showing her true spirit. She looked fantastic especially in the pictures he took of her for vogue magazine. My favorite is the one he took of her with her cat, it showed her true elegance and beauty. I wish other actresses are as smart and elegant as she was, they don’t make them like that anymore. I would say Angus McBean took the ebst photographs of VL !!! In terms of reputation,Cecil Beaton is impossible to beat.But nearly all his pictures of Vivien are composed in medium to long shot,whereas Angus McBean, for example, nearly always insured that her features looked at their best in close up.So I would nominate McBean.It’s just a shame he didn’t take more of them!! I have a number of favorite shots from various photographers (Jean Howard’s Hollywood has a choice one of the Oliviers together that’s as good as the Life magazine cover shot of them in 1951 – maybe better), but I think I’ll go with Laszlo Willinger for capturing Vivien at her ethereal best at the time of Waterloo Bridge. Cecil Beaton took the best photographs of Vivien Leigh. Angus McBean gets my pick as well. There is just something he captures about her that I adore! I think I’d have to go with Angus McBean, as well. I have to agree with Cecil Beaton although Angus McBean’s are quite good too. Cecil Beaton photographed her splendidly.